Why not distract your attention from usual database development and facilitate your work with database projects? Have at least 10 benefits. Proved their value for database experts. 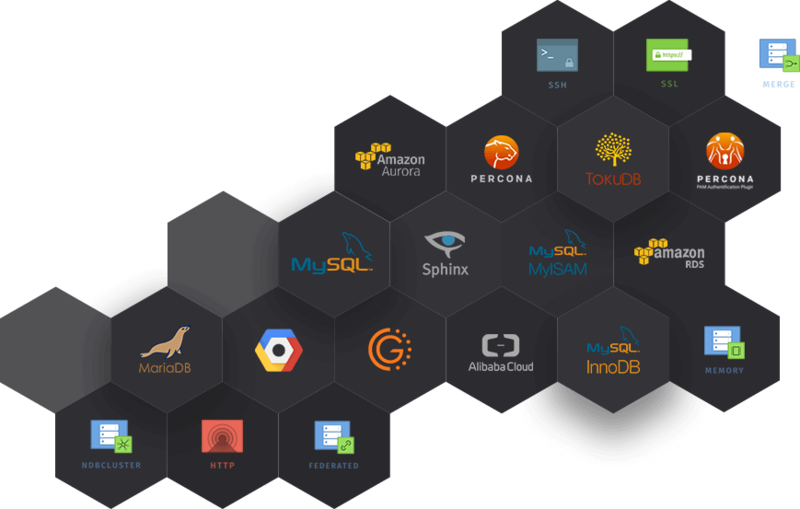 Make database development a snap. 1. Logically organized scripts and query files in one place. 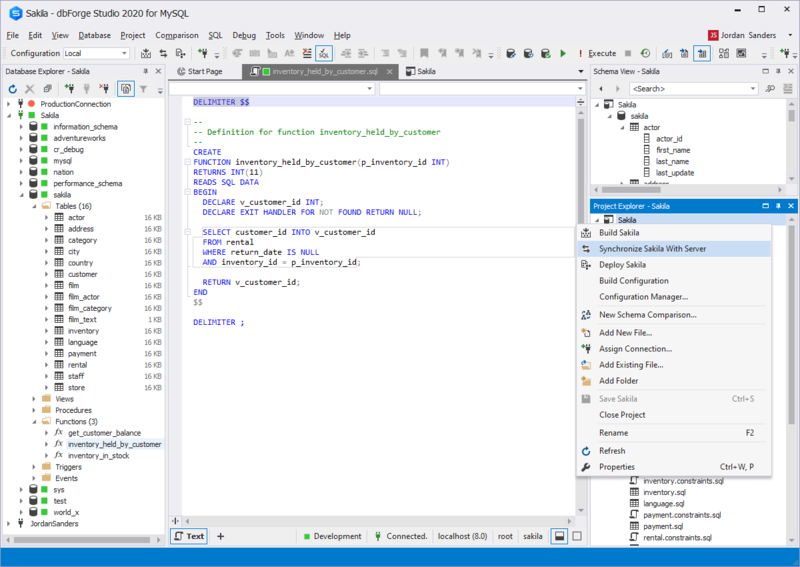 Quick access to SQL scripts and database objects. 2. 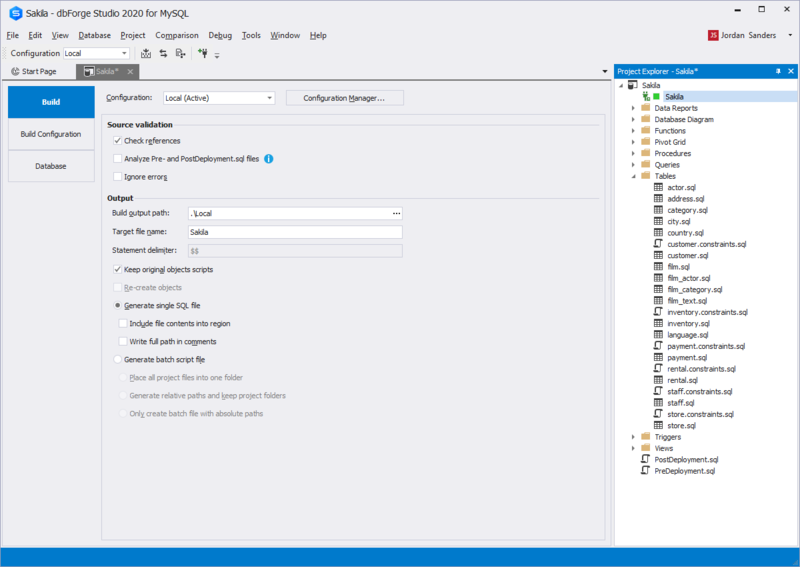 Developing databases in offline mode within a fully customizable environment. 3. 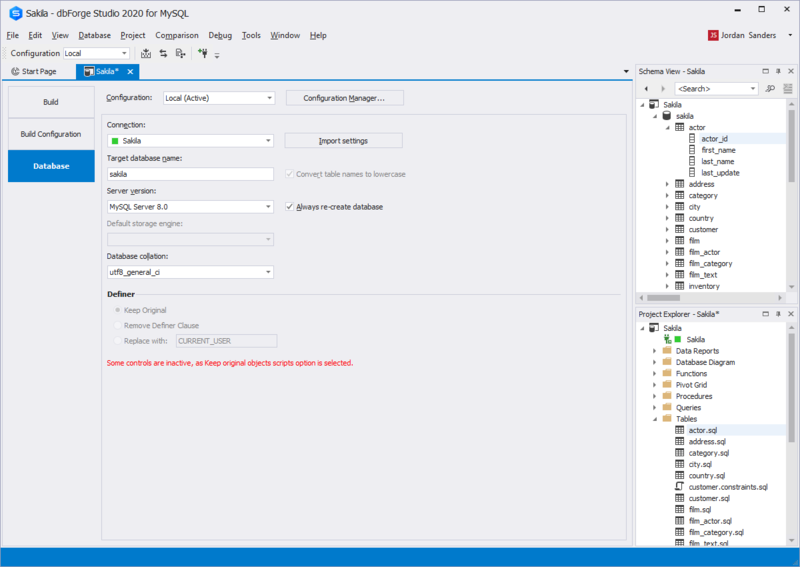 Several database project outputs (they are used to deploy all the project changes to a database on the server): a single ready-to-deploy script, a set of scripts with a batch to run it in the MySQL Command-Line Tool or in dbForge Studio, etc. You can adjust the output for your needs. 4. Various customizable configurations. Each of them can have the required connection and settings, so the next time you can use the required configuration and escape manual tuning of all the settings. 5. Automatic validation of database project syntax and objects references during building or comparing a database project. This ensures the correct result. 6. Adjustable build order. The project can include all files of your solution and you can include only necessary files to the output in different configurations. 7. Convenient database deployment to the server. 8. Comparing a database project with a required database. You can get a synchronization script and deploy database changes. 10. Database project is a modern and dynamically developing technology. You have a chance to contribute to concept development. 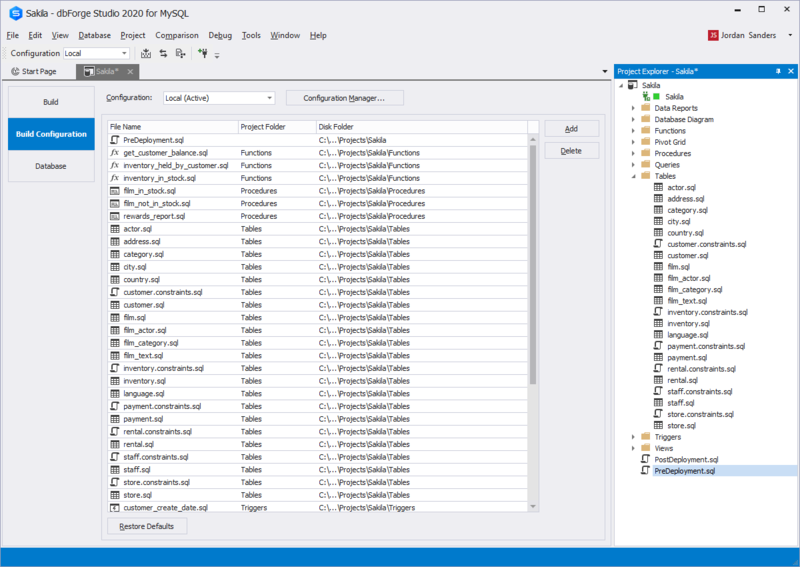 Read Modern Approach to Database Development article to find step-by-step procedures and detailed screenshots of a database project.